Beautiful!!! Thank you for your brilliance! 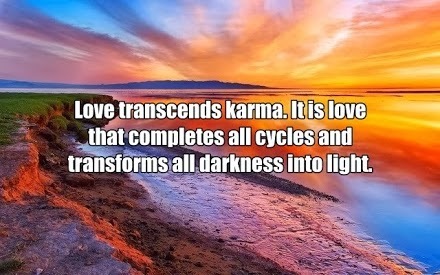 Does love truly transcend Karma? Could karma exist where a true sense of love prevails?